Colorway A - two widths. Pattern with Franklin Border. 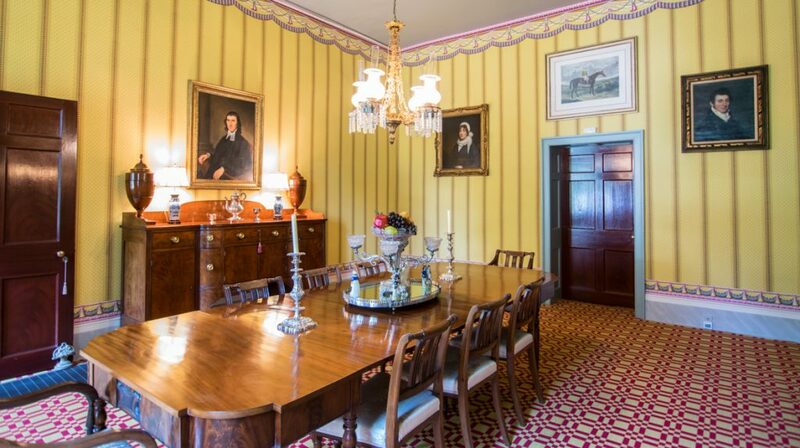 Both the Franklin Stripe pattern and the Franklin Frieze, shown with the historic colorway, above, as well as the Franklin Border are from the historic Meeting of the Waters house in Franklin, Tennessee. Built by Thomas Hardin Perkins in 1810, near the confluence of the Harpeth and West Harpeth Rivers, this fine Federal style house remained in the hands of Perkins’ descendents until 2007. During restoration, heavily damaged and faded fragments of the sidewall, frieze and border were uncovered, but the true colors were revealed in the protected overlap areas and by analysis of the paint pigments. 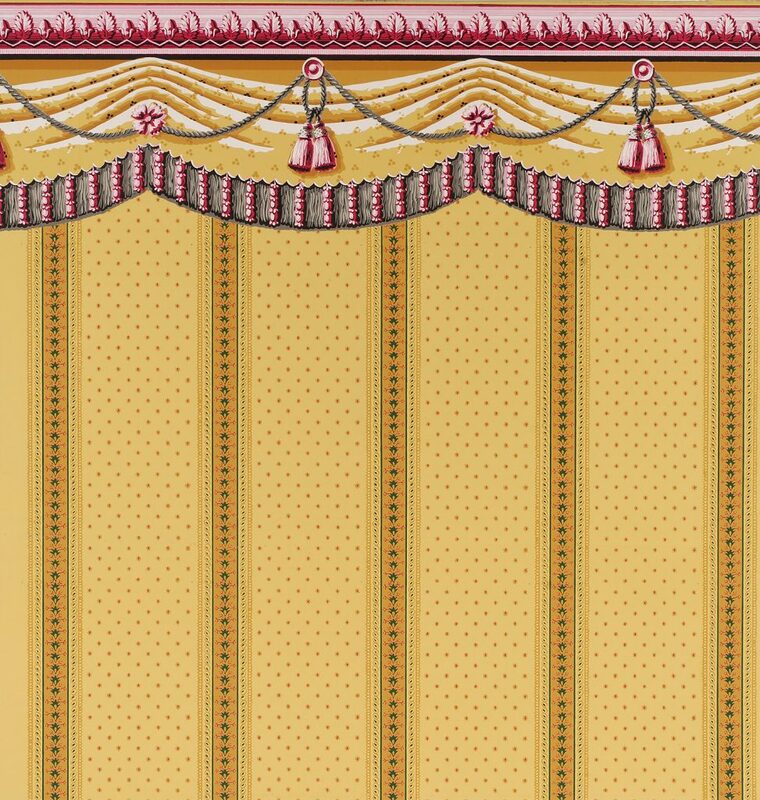 The Franklin Stripe is a classic field and stripe pattern, similar to Adelphi’s slightly later Janes and Bolles series, but the bright color palette and more refined pattern suggest the ensemble stripe, border and frieze are likely of French origin. Imperial Measurements: Repeat continuous, width 19 ⅝ inches, length 11 yards, straight match. Metric Measurements: Repeat continuous, 49.8 cm, 10 m.